Mr. 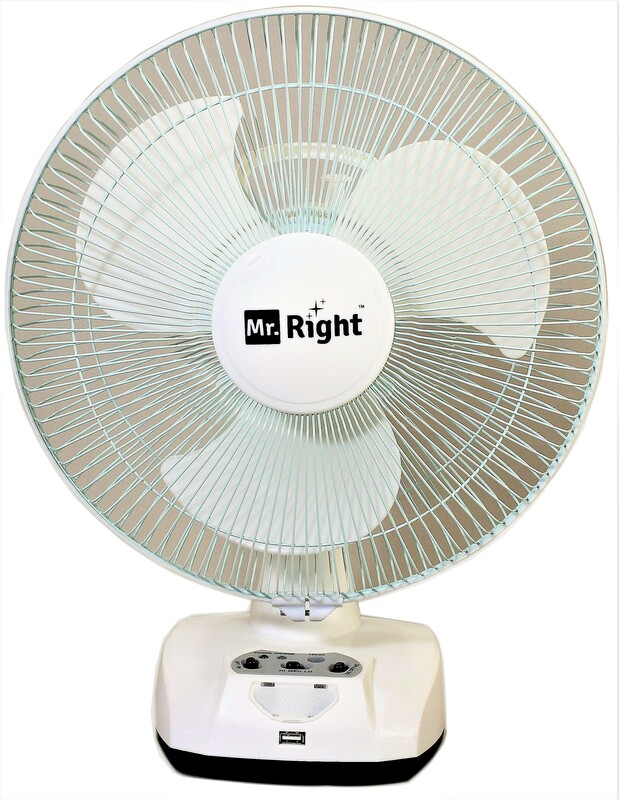 Right MR-2912 AC/DC 12 Oscillating Rechargeable Table Plus 3 Blade Wall Fan(White)"
Mr. Right MR-2912 AC/DC 12 Oscillating Rechargeable Wall Plus 3 Blade Table Fan(White)"